She found this pair of chairs for a steal on Craigslist, complete with slipcovers that were, for some reason, too short :/ Perhaps there was some shrinkage? Underneath, was forest green fabric in pretty good condition. The white denim covered the green much better than I had anticipated - yay! 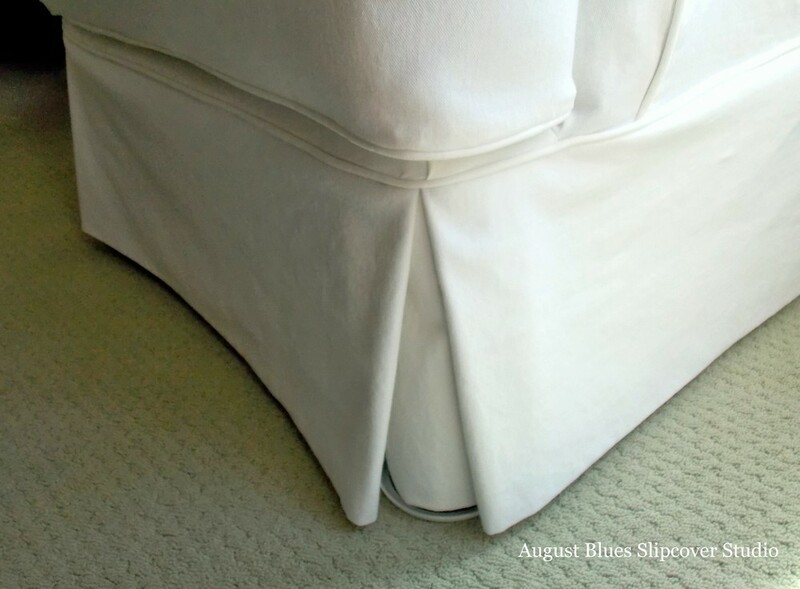 We finished the down-filled back cushions as they had been done with the previous slipcover - kiss pleats and piping. Yep, I love a white slipcover (see more here and here and here)! How about you?